Emed > Heart Disease - Cardiovascular Disease > Lower Blood Pressure with Probiotics? We all know the role of probiotics in gut health, enhancing immunity, reducing insulin sensitivity and possibly cholesterol management. According to new research released in the American Heart Association Journal Hypertension (21st July 2014) probiotics found in supplements, yoghurt, fermented and sour milk and cheeses can assist in lowering blood pressure especially in individuals who have existing high blood pressure. The analysis of nine studies involving a total of 543 adults, was conducted at the Griffith Health Institute and School of Medicine, Griffith University, Gold Coast, Queensland. The analysis looked at studies on the probiotics-blood pressure connection, with the participants assigned to take probiotics for a period of at least eight weeks. The lead author Jing Sun Ph.D notes that “The small collection of studies we looked at suggest regular consumption of probiotics can be part of a healthy lifestyle to help reduce high blood pressure, as well as maintain healthy blood pressure levels”. The term probiotics is used to describe the friendly bacteria that live and work in your gut, guarding you against harmful bacteria, fungi and viruses. Probiotics are beneficial in that they promote your bodys’ natural immunity, aid digestion and overall health. Probiotics are measured in colony forming units (CFU) and this measures the amount of bacteria or the dose of probiotics in a product. The heart pumps blood around the body through the blood vessels. Fundamentally blood pressure is the amount of force exerted on the artery walls by the pumping blood and is measured in millimeters of mercury (mm Hg). A normal blood pressure level is 120/80. The two numbers in a blood pressure reading are the systolic and diastolic pressures. The top number (and higher reading) represents systolic blood pressure which measures the pressure in the arteries when the heart beats (when the heart muscle contracts). The bottom number (and lower reading) is diastolic blood pressure which measures the pressure in the arteries between heartbeats (when the heart muscle is resting between beats and refilling with blood). Probiotic consumption was found to lower systolic blood pressure by an average 3.56 mm Hg and diastolic blood pressure by an average 2.38 mm Hg. There was no change in blood pressure for those adults who did not consume any probiotics. The analysis additionally revealed that probiotics need to be taken for eight weeks or more in order to lower the systolic or diastolic blood pressure. Any period less then this time has minimal therapeutic benefit. This suggests the blood pressure-reducing effects may only be noticeable after a couple of months. Probiotic consumption with a daily bacteria volume of at least 10^9 to 10^12 colony-forming units (CFU) may improve blood pressure. Consumption with less than (10^8 CFU) this amount did not lower blood pressure. Each of the nine studies within this meta-analysis was conducted using a different probiotic or combination of probiotic. These were mostly strains of Lactobacillus (acidophilus, reuteri, casei, thermophilus and plantarum), Streptococcus thermophilus and Bifidobacterium infantis. Therefore the most effective strain, dose and source to lower blood pressure is yet to be determined. It is known that a comprehensive probiotic formula (those containing a variety of strains) lowered blood pressure more than those with a single strain. How Can There Be a Connection Between Gut Bacteria and Blood Pressure? It appears as though probiotics effect on blood pressure derives from its effect on both metabolic and hormonal processes. Other studies have established a link between probiotics lowering “bad” and total cholesterol. There’s additionally some evidence that probiotics may improve insulin resistance and certain inflammatory biomarkers. All of these changes are known to be associated with lower blood pressure. On the surface it appears that the reduction in blood pressure by supplementing with probiotics in this analysis wasn’t huge. The authors note however, that previous research indicates even a small drop in blood pressure was linked to a 22% reduction in the risk of death from heart disease, heart attack and stroke! 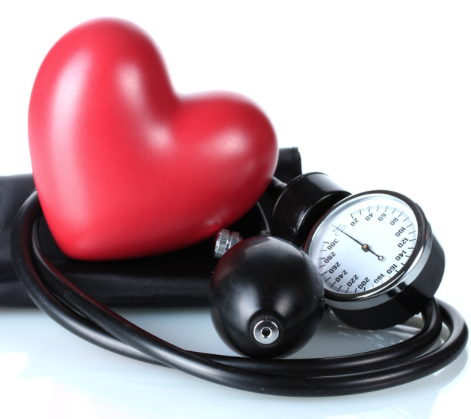 A little drop in blood pressure can have a big effect on health. So add some probiotic rich foods or supplements to your diet! Emed offers some exceptional quality probiotics and this research suggests that taking a probiotic a day will assist in lowering high blood pressure!